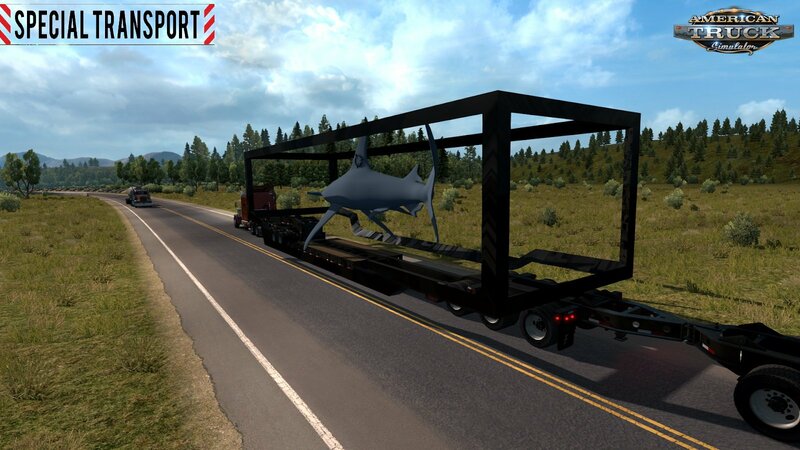 We have received a lot of positive feedback to our recently-released ETS2 Special Transport DLC. We continue to work on it - more routes are coming as well as various subtle code improvements. Meanwhile, we are bombarded with questions about a comparable expansion for American Truck Simulator, and we feel that we should not keep you completely in the dark. 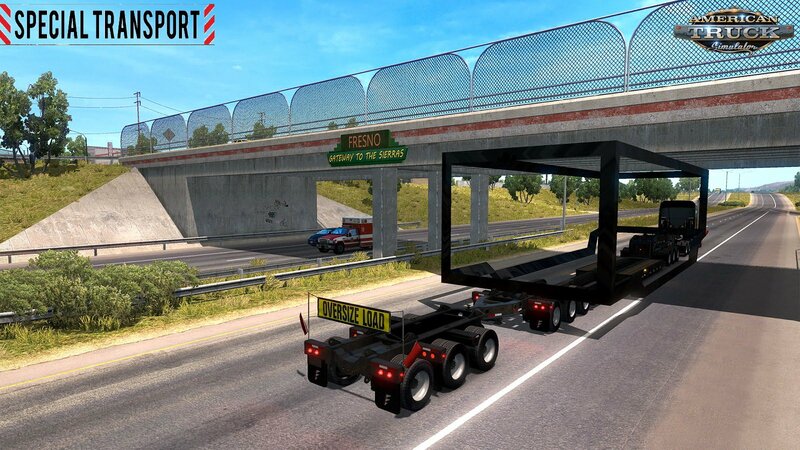 We are happy to confirm that ATS will also receive its own oversize loads! 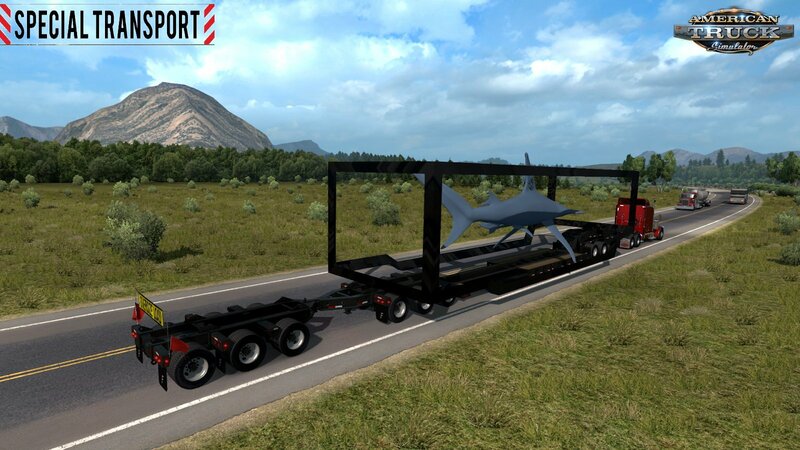 You can see our special cargo placeholder trailer. 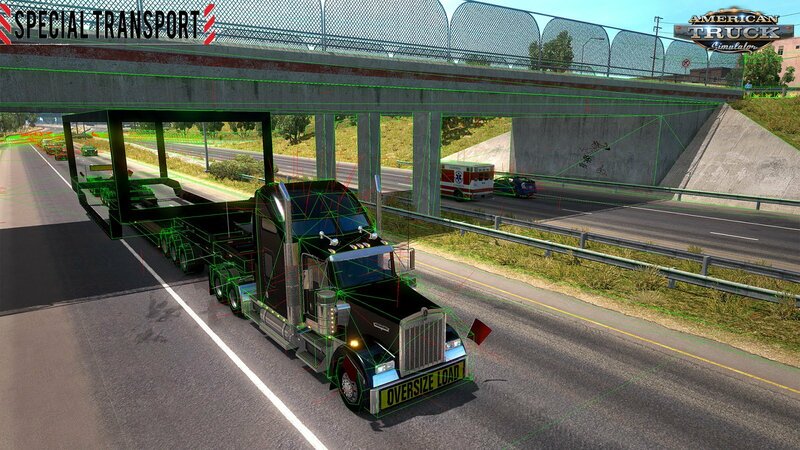 Our designers use it to verify that a particular cargo we have in our plans will eventually fit through critical places of the in-game world. If it doesn't fit, usually we try to tweak the map, perhaps raise a bridge by a feet or two, or move a big rock a bit further from a tight bend on the road. If such a change would ruin the place, we have to find and set up an alternate route. As you can see, some places are rather tight, with only a few inches of space left to drive thru!